Test Day from SMMT (the Society of Motor Manufacturers and Traders) is always a delight to attend, anticipation heightening as the day draws closer. For the last two years, the journey from Manchester to the heavenly Millbrook Proving Ground in Bedfordshire was taken care of by press cars I was reviewing during those weeks, but this year we consciously chose to use one of our Vel Satis’, as we feel rather guilty that the poor things don’t get enough exercise. 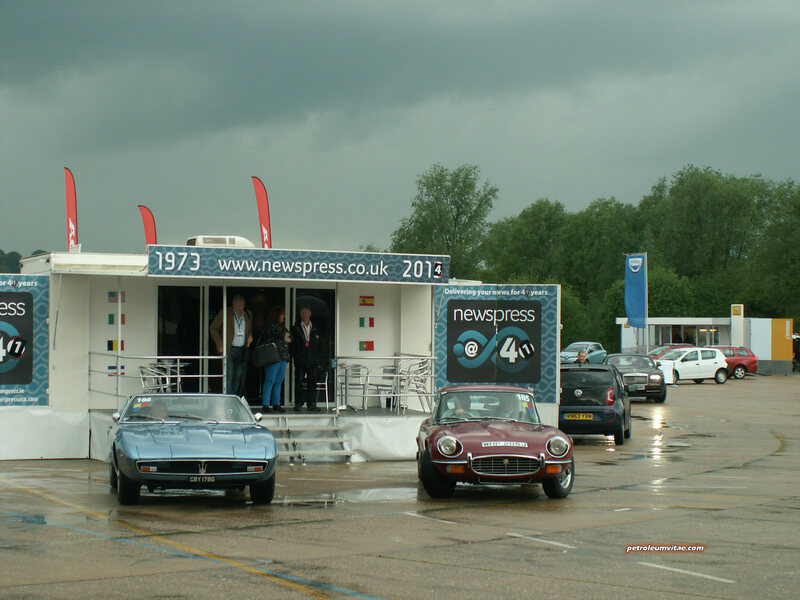 One other difference for this third privileged trip to Millbrook was the weather. The last two years had seen scorching sunshine, with Oliver returning to Manchester red as a lobster, so it was going to be rather interesting to see how the rain would affect play this year, especially on the Hill Route with its plethora of sharp bends. 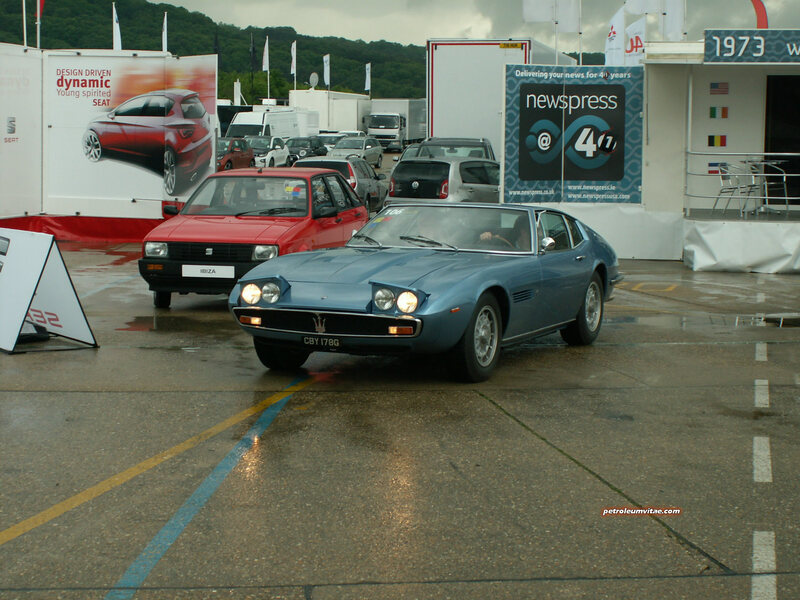 As ever, the majority of car manufacturers were in attendance at Test Day 2014 and some real gems were on the menu, from the Alfa Romeo 4C, BMW i3, Maserati Ghibli and McLaren 650S, to a feast of heritage cars including a manual Honda NSX, a 1989 Land Rover Discovery First-of-Line, a mk1 SEAT Ibiza, a classic Maserati Ghibli and first generation examples of the Toyota RAV4 and Lexus LS400. Test Day is as much about thanking manufacturers we already work with, such as Jaguar Land Rover, Kia, Suzuki and Bentley, and meeting new PR teams like Maserati, as it is about the cars. You’ll be familiar with the in-depth road test reviews we publish on cars from various firms who are already kind enough to supply press cars, and with only having around fifteen speed-dating-esque minutes behind the wheel of each car at Millbrook, we keep our SMMT Test Day ‘first drives’ snappy. 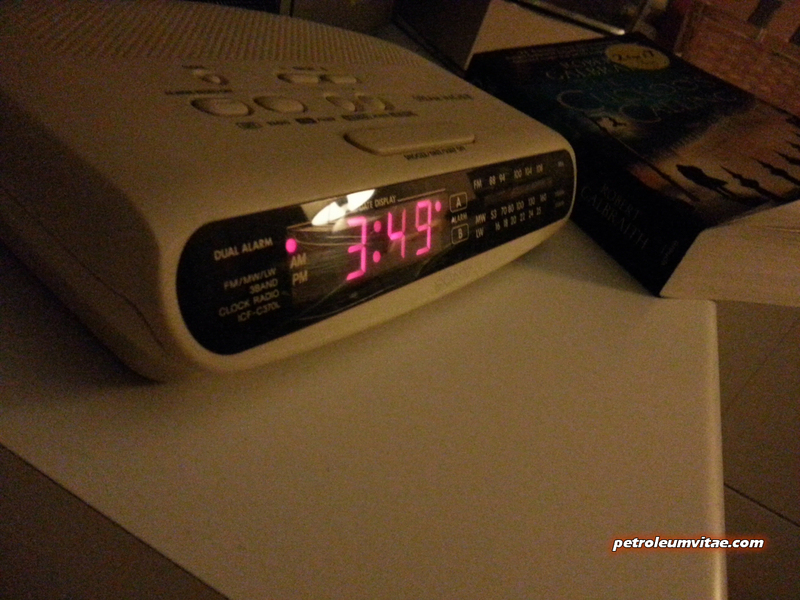 With a very early start and a long drive down, I was rather hoping to ease myself into Test Day 2014 with some modest, smaller cars. 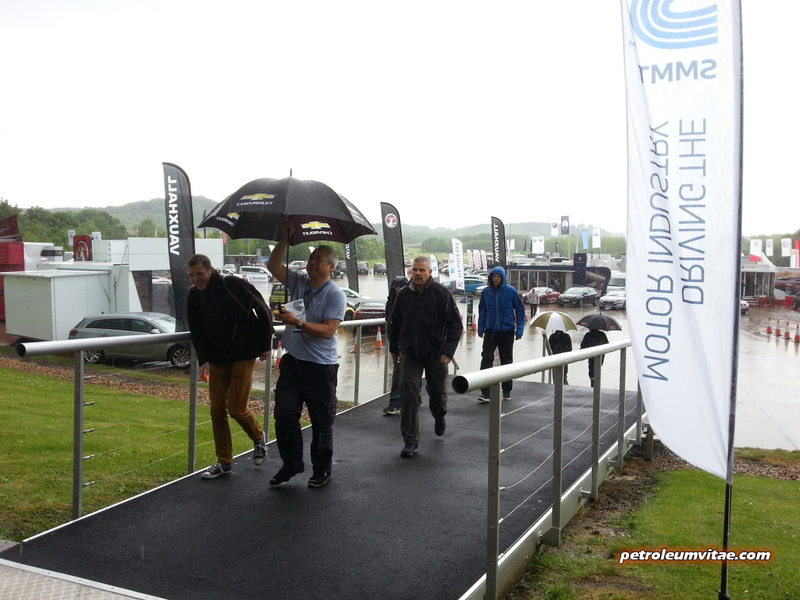 None of us particularly had any ‘must drive’ cars on our radar and consciously intended to take the day as it came. 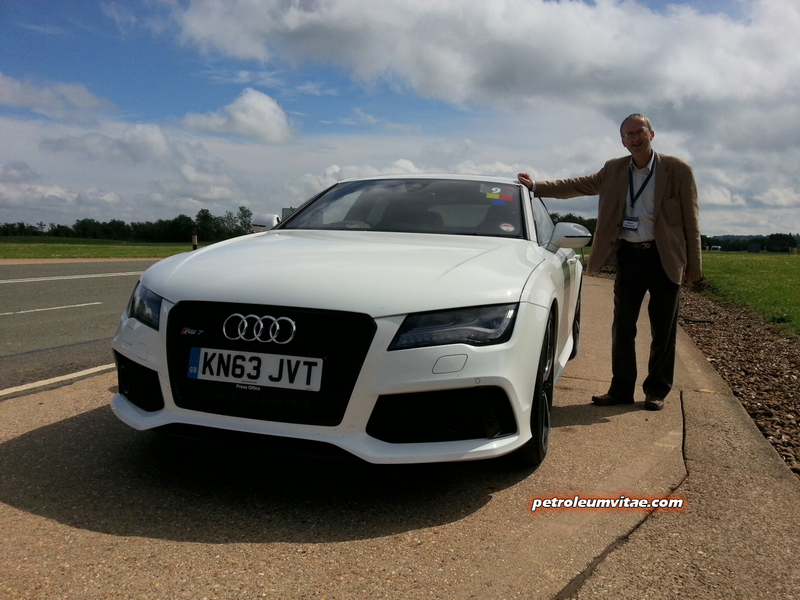 After fuelling up on coffee, the first stand we stumbled across was Audi and Oliver was interested in how the RS7 compared to the S7, which was the first car he drove at SMMT Test Day 2013. 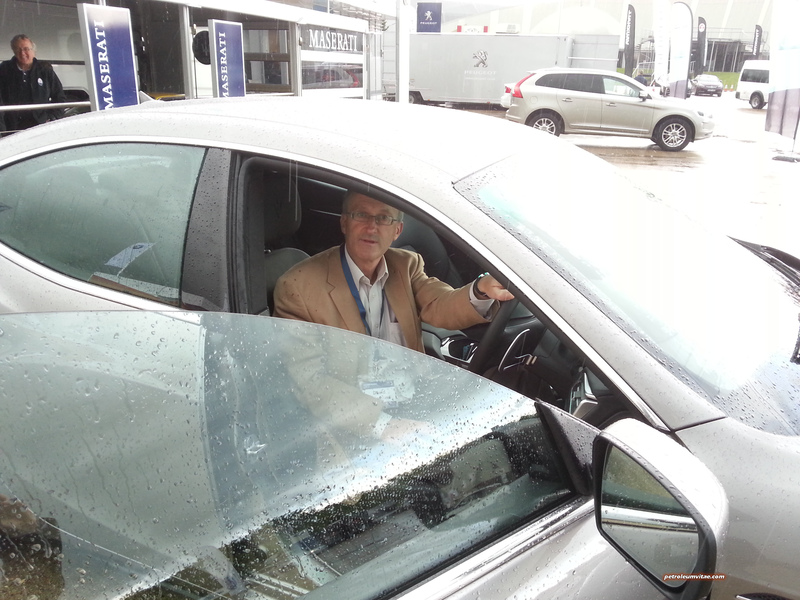 As it happened, he and Nick urged me to jump behind the wheel, my ‘ease-in’ plan immediately going out of the window. If any real drama was lacking from the S7, it certainly wasn’t from the RS7, which fired into life like an angry bear and roared each time I even gently pressed the accelerator. It’s a good job the layout of the Hill Route came back to my mind fairly quickly, having attended in 2012. The brute force of the RS7 was overwhelming at first but knowing it had Quattro, I knew it would have excellent grip and make mincemeat of the Hill Route. I loved driving the XFR-S Oliver recently reviewed but did feel that it would probably respond wildly if pushed too far, whereas even during this much briefer session, I could sense that the Audi could be cornered much more keenly and if a sudden downpour did occur, we’d be fine even at speed. 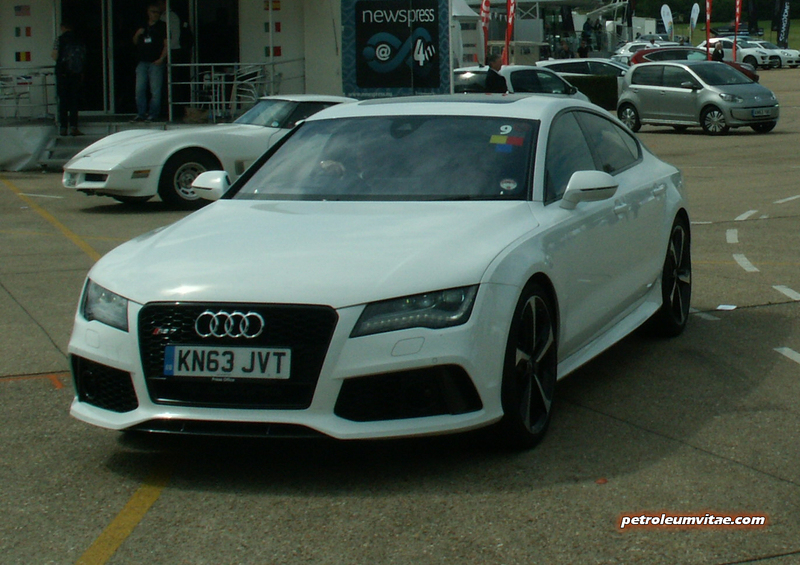 Not that there’s much time to admire the interior of a car whilst hurtling around the Hill Route or High Speed Circuit, I could tell that the RS7 was extremely well-built and solid, with a very high specification. We didn’t bother touching the sat nav and preferred to listen to the wonderful exhaust sounds rather than BBC Radio Two which the previous driver had left on quite loud, but I spotted the raised Bang & Olufsen tweeters and really benefitted from the heads-up display, which helped me keep my eyes focussed on the road at all times. 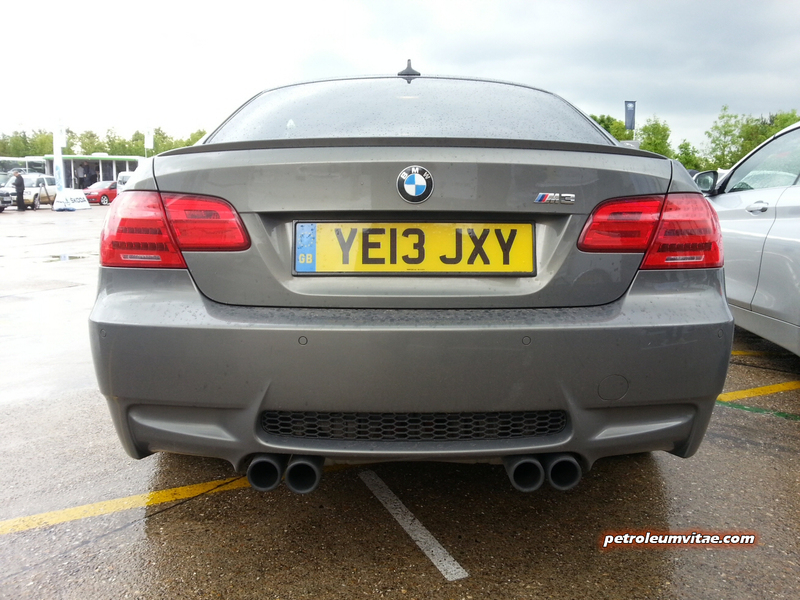 I knew this was going to be good, the chance to blast an M3 around Millbrook – and I certainly wasn’t disappointed. 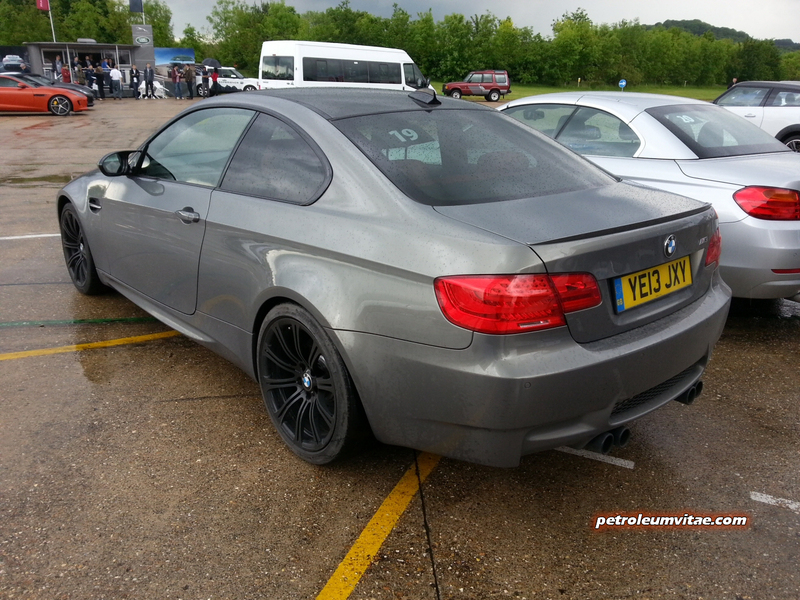 The styling and interior may both now be a little dated, but the E92 BMW M3 with its V8 engine is absolutely iconic. This obviously limited-run model is even more special in that it’s equipped with £4,000 worth of extras for only an extra £1,000, so puts itself forward as something of a bargain. 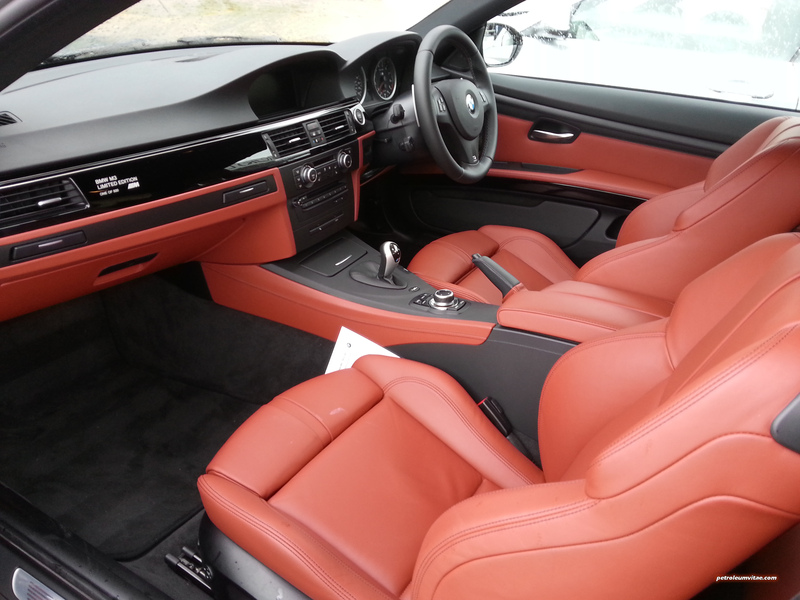 This Red Novillo on Stratus Grey example came with high-gloss black alloys, piano black BMW Individual trim with ‘One of 500’ cut into it by laser, electronic damper control, loads of multimedia and technology options and the simply brilliant seven-speed M double-clutch transmission with DRIVELOGIC. 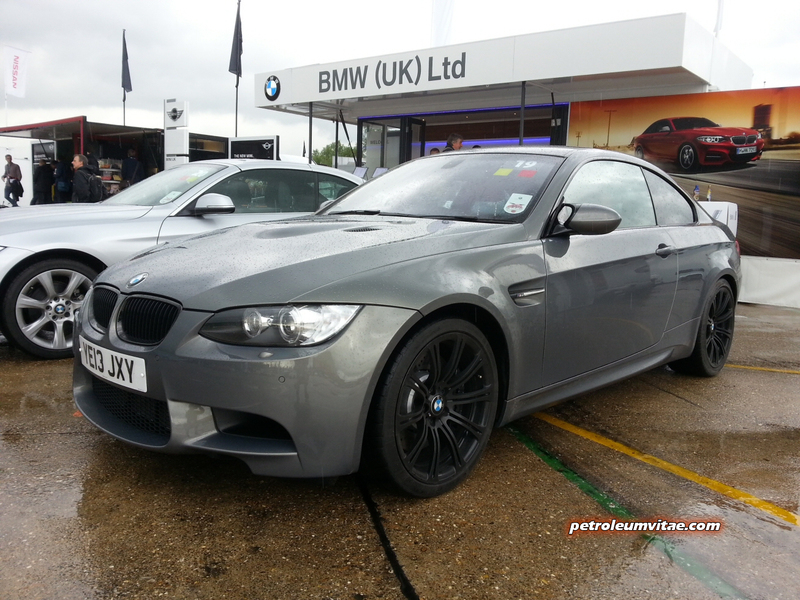 With 420bhp on tap, this V8 coupe can reach 62mph in 4.6 seconds using the M DCT ‘box and produces 400Nm of torque. For what it is, remembering that it’s a coupe with an inevitable trade-off in practicality, everything about the M3 ‘500’ felt special, near-perfect. The DCT transmission was a doddle to use, the driving position was just right, the pedals, steering wheel and other controls were all perfectly positioned and had a sporty, engaging feel to them and the interior lacked for nothing in terms of kit. 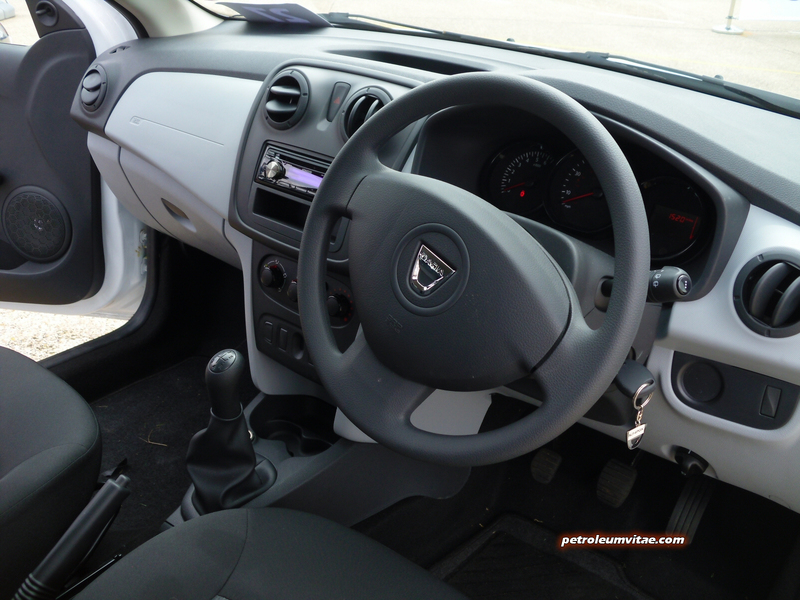 Five minutes after driving a £115,000 car, I found myself in one costing a mere £6,000 – the Dacia Sandero Access. 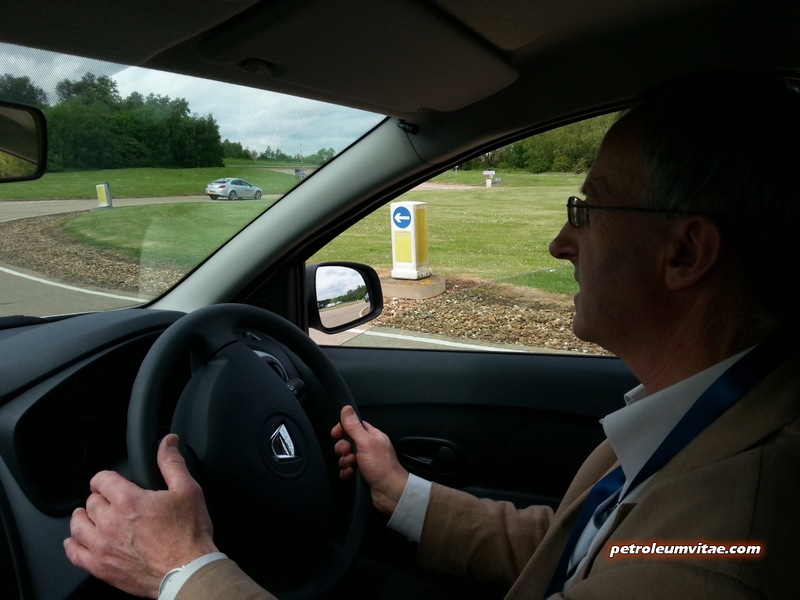 I was rather pleased, in fact, as I had been seeking the chance to drive a Dacia for quite some time. 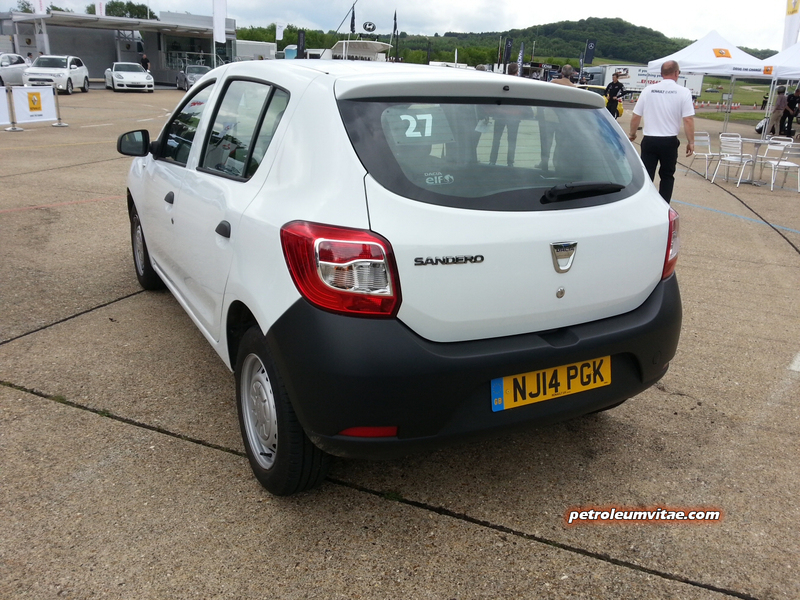 The Sandero isn’t a ‘city’ car like a VW Up! or a SEAT Mii. It’s a supermini, so be compared to a Ford Fiesta or Vauxhall Corsa. As you can guess, the Dacia is considerably cheaper than anything in the same class and the price is reflected by its simplicity. 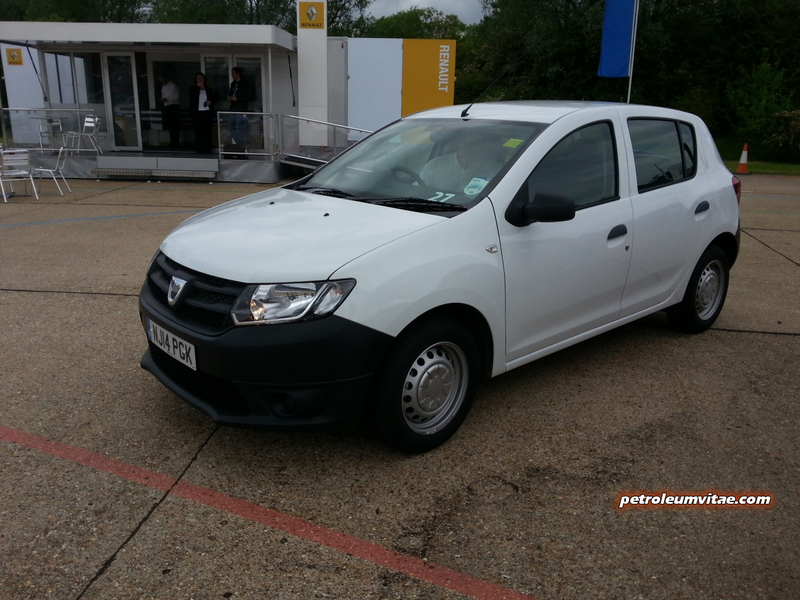 ‘Access’ is the most basic of the whole Dacia Sandero range and reminded me of a holiday hire car, with its white paint and black, plastic bumpers. Not everyone cares about style and some people out there (a growing number in fact) just want a basic car that will do the job. At least the Sandero Access looks solid, honest and rugged, leaving you with no worries over trolley dings or car park prangs. The outside is matched by a very basic interior, with not just a lack of refinement and equipment, but not much design flair either. Again, though, it felt tough and long-lasting inside and it’s a reassuring feeling not having lots of gadgets to go wrong. 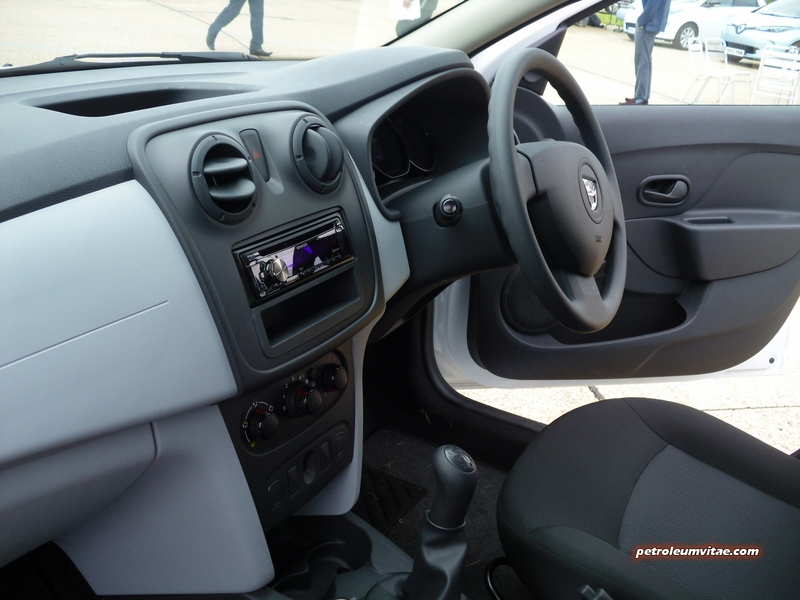 For use around town, to the supermarket, on the school run and on gentle A and B roads, it would be unfair to call the Sandero Access uncomfortable, apart from I would have appreciated a rest for my left foot, as space around the pedals was a bit cramped. The amount of room inside the Sandero was quite good, actually, and as a relatively tall person I didn’t feel cramped for headroom or anything else. Mrs H has always loved the Maserati Granturismo, partly due to that BBC programme with the Italian chef and the English historian, and she would love us to own a Maser’ one day. 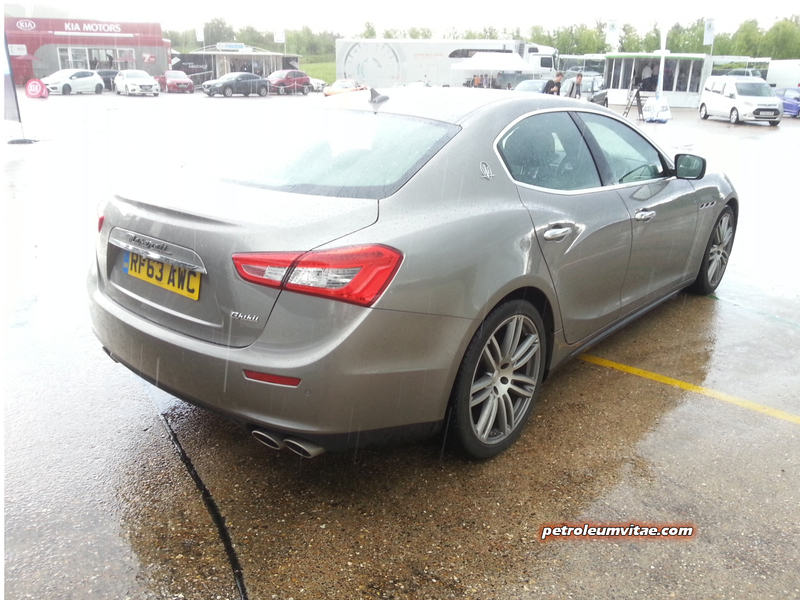 I have always admired the Quattroporte from a distance, too, so I was very pleased indeed to get the opportunity to drive a new Ghibli – and a diesel one at that. 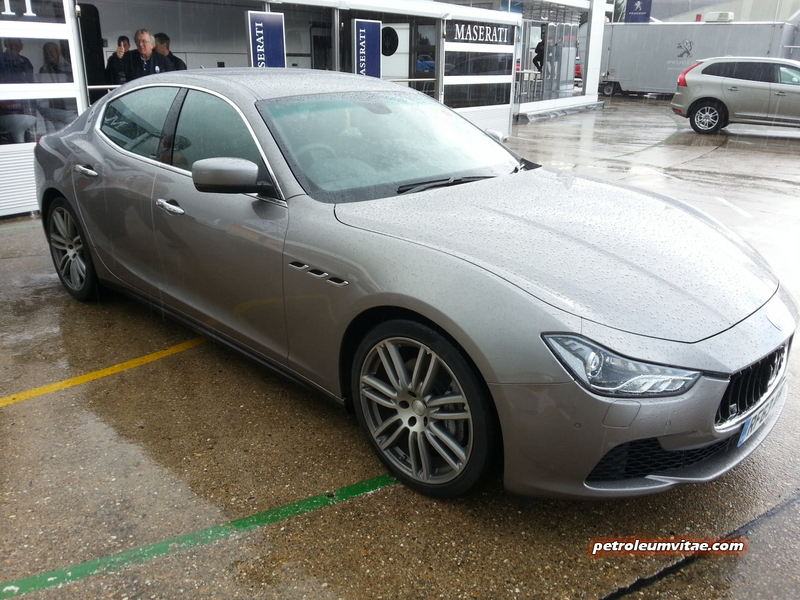 I think Maserati have done an excellent job with the exterior, blending sporty performance and aggression with business-like smartness, taking elements from their other recent models and sculpting them into a very attractive new car. I’m glad the diesel models retain the quad exhausts and don’t actually even wear a ‘diesel’ badge anywhere – unless I missed one. The interior was very luxurious and well-equipped in my opinion, although Oliver thought some of the surfaces weren’t quite as soft as they could have been and in some places it felt to him more like a top-of-the-range Japanese family car than an Italian stallion. I must point out that as with all the cars today, we were only able to drive a few laps and by that point it was raining quite heavily. 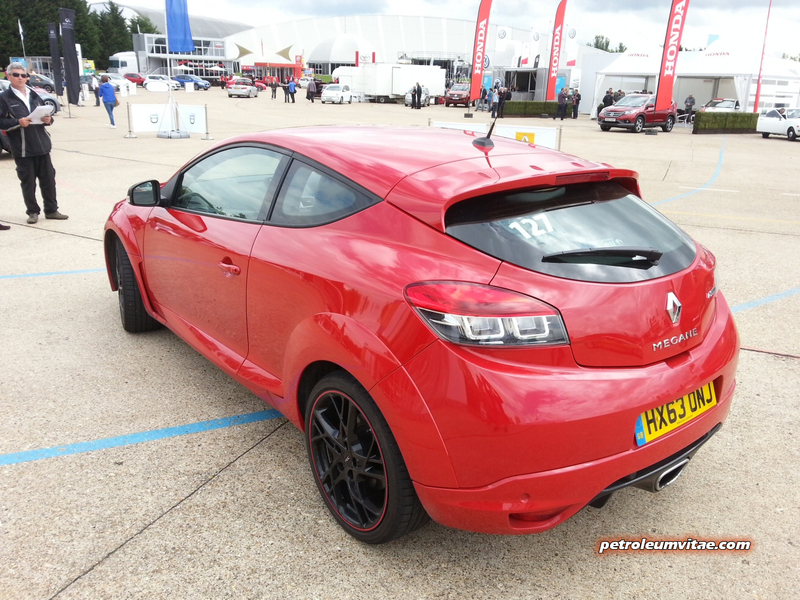 You will all be wanting to know how the 3-litre, 271bhp, V6 diesel engine performed. When I started it up, it didn’t obviously sound like a diesel and I thought it was very refined throughout the whole test-drive. 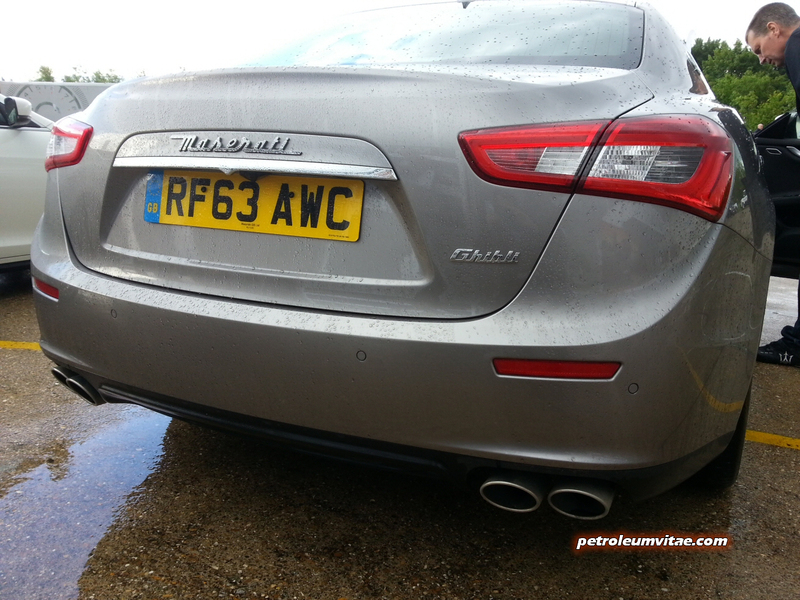 The Ghibli as a whole felt very solid, nicely powerful and handled well if not amazingly, but do remember that I was taking it steady in the wet. 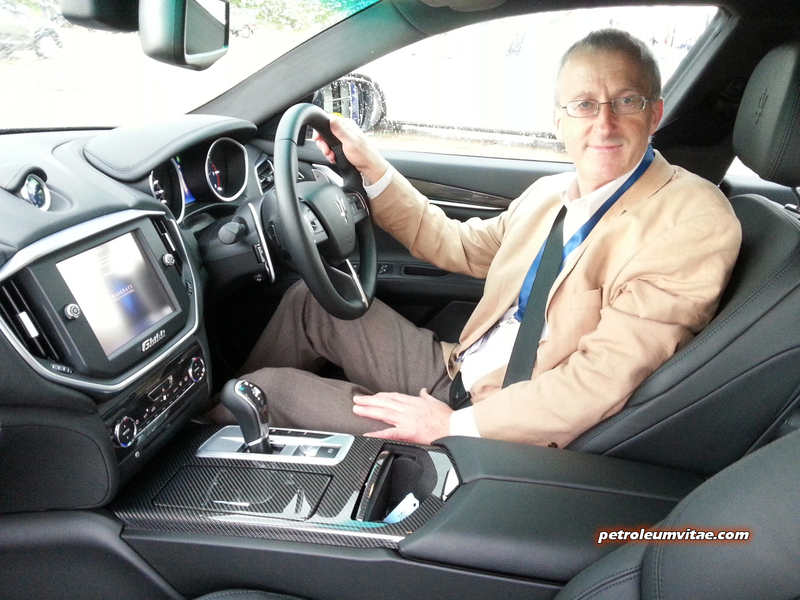 The steering was certainly more engaging and had more feel than the RS7, in my opinion, and driving the Ghibli brought a smile to my face; although I think that was partly down to being giddy at finally being behind the wheel of a car bearing the trident logo. 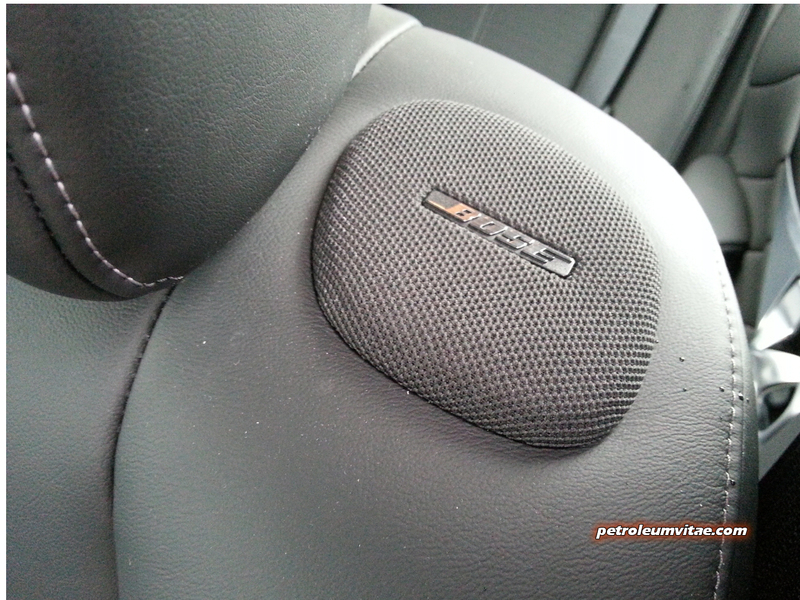 Pressing the Sport button made a big difference to the sound of the car, which became much more aggressive, the tone matching the performance, it actually feeling like a meaty petrol car or a V8 diesel. I don’t like thirsty cars, though, so it was nice to know that a V6 diesel was doing all the work. The main torque power comes in the middle of the rev range and the 8-speed ZF gearbox was nice and smooth. The final drive of the day was mine, when the rain really was coming down hard. 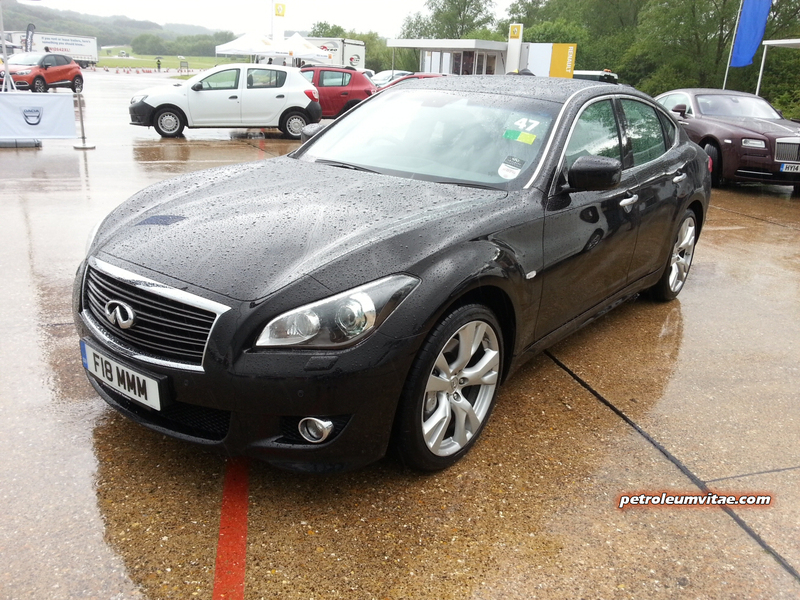 It happened to be in another 3-litre diesel, from Nissan’s upmarket Infiniti brand. A couple of years ago Infiniti arranged a M35h hybrid review for me but it never materialised, so I was pleased to finally get behind the wheel of their latest flagship saloon, the Q70. Infiniti recently changed their model-naming convention, dropping all prefixes in favour of just Q, the larger the suffixed number, the bigger the car. From a styling point of view, the Infiniti Q70 holds its head high, with a modern, muscular design which at the same time won’t offend prospective buyers who have a tendency to play it safe with more familiar executive saloons like the BMW 5-series and Audi A6. The Q70’s silhouette isn’t dissimilar to the Mazda 6’s in actual fact and in keeping with its origin does look decidedly more Japanese than European, but I’m all for relative newcomers setting the cat among the pigeons. Besides, Lexus managed to scalp plenty of business from the Germans in a relatively short space of time. 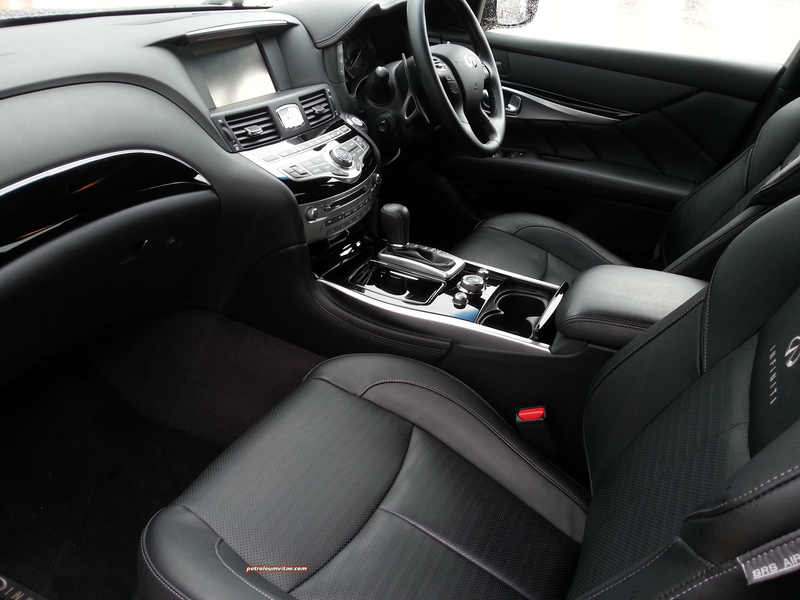 The interior of the Q70 impressed from the off, everything feeling very sturdy and relatively sophisticated, with very comfortable if not particularly hugging front seats, nicely damped, black gloss surfaces and trim, a classy Infiniti analogue clock, a sizeable sat nav and multimedia screen and refreshingly large, simplistic buttons on the centre stack. 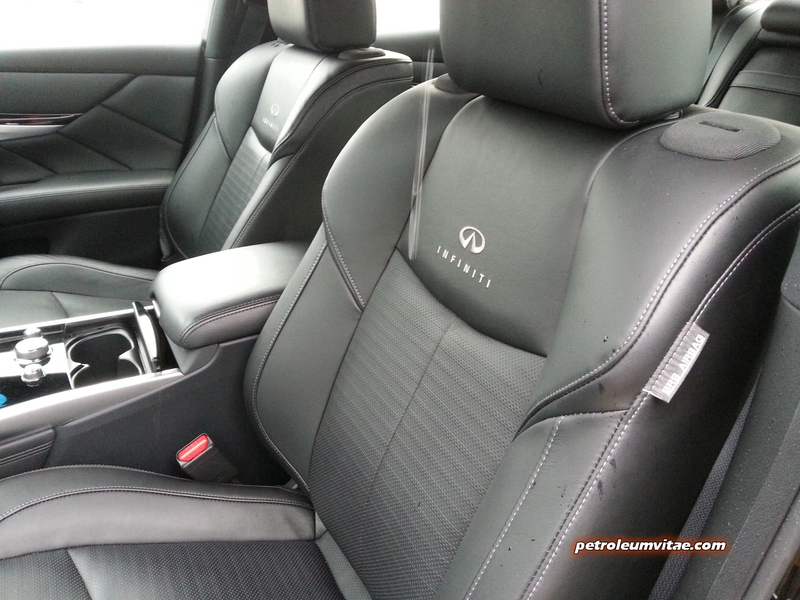 I felt cocooned inside the Q70, pleasantly insulated from the outside world. 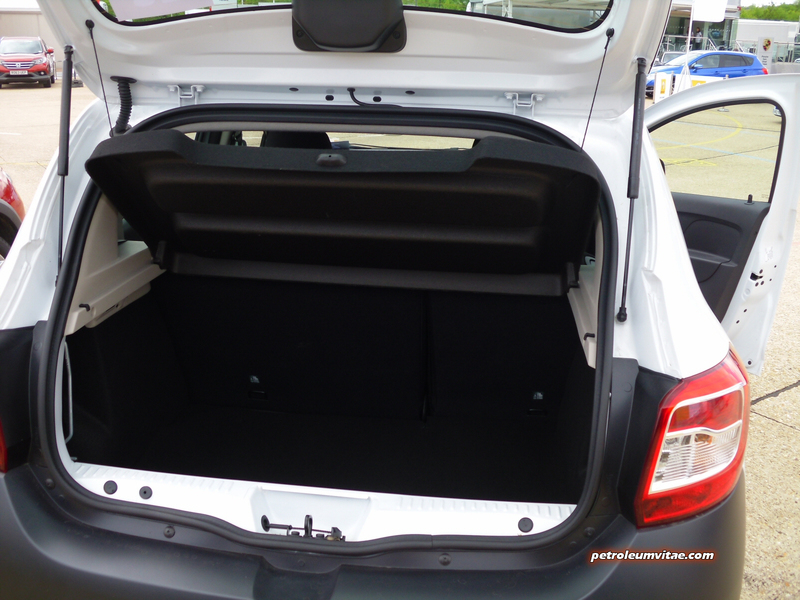 Little details like the beautifully-crafted and weighted door handles made a big difference, and space in the back and also the boot looked excellent. 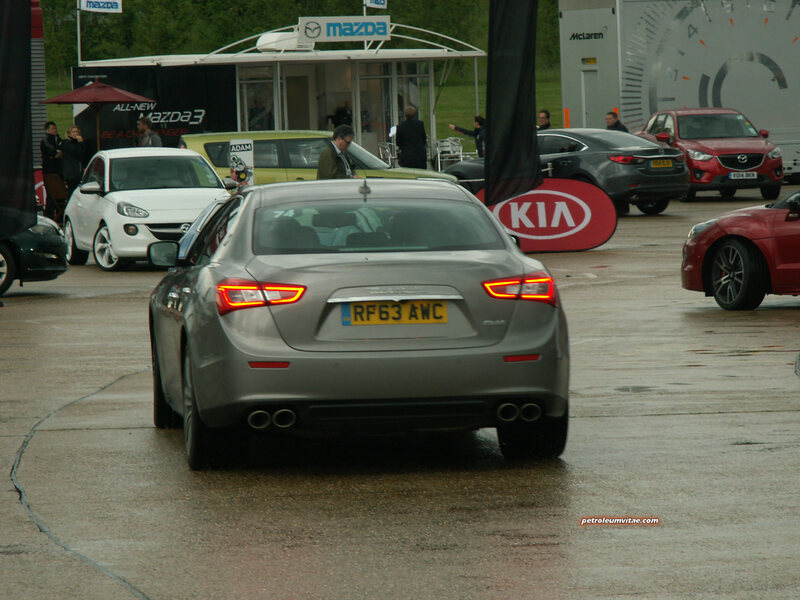 Starting it up, the £45,000-ish Q70 didn’t do quite as good a job as the Maserati at hiding any tell-tale signs that it was powered by a diesel, but the V6, 238PS unit was generally still refined. 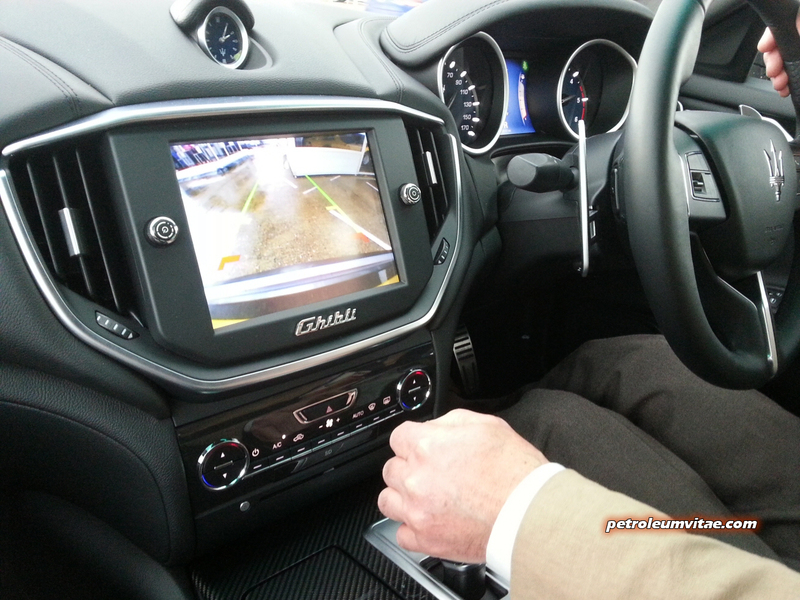 The dashboard towers up in front of you, reassuring you that that you are indeed driving a large, executive saloon. 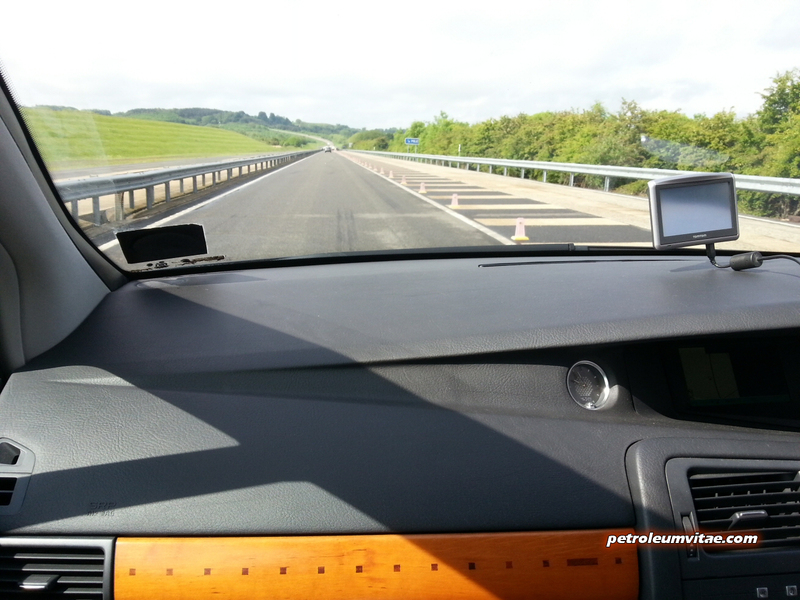 Another reassuring facet of the drive was that the Q70 felt heavy, in a planted, solid way. The 550Nm of torque produced by the Infiniti is only 10Nm less than a BMW 530d and 30Nm less than an Audi A6 3.0 TDI, so isn’t lacking, and it certainly pulls the Q70 along nicely, in a cosseted manner to boot. Being an ‘S’ model, the car I drove was fitted with 4-Wheel Active Steer (4WAS), one of the features distinguishing it from the GT version, which rides on 18” wheels as opposed to the 20s this car was shod with. 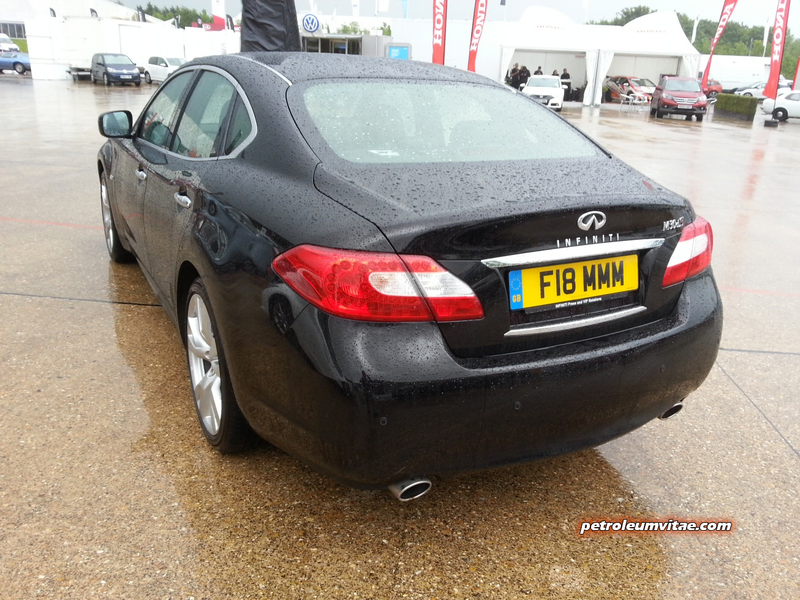 Infiniti equipping this rear-wheel drive saloon with 4WAS is an attempt to give it enhanced agility in the corners, through improved grip and steering turn-in. 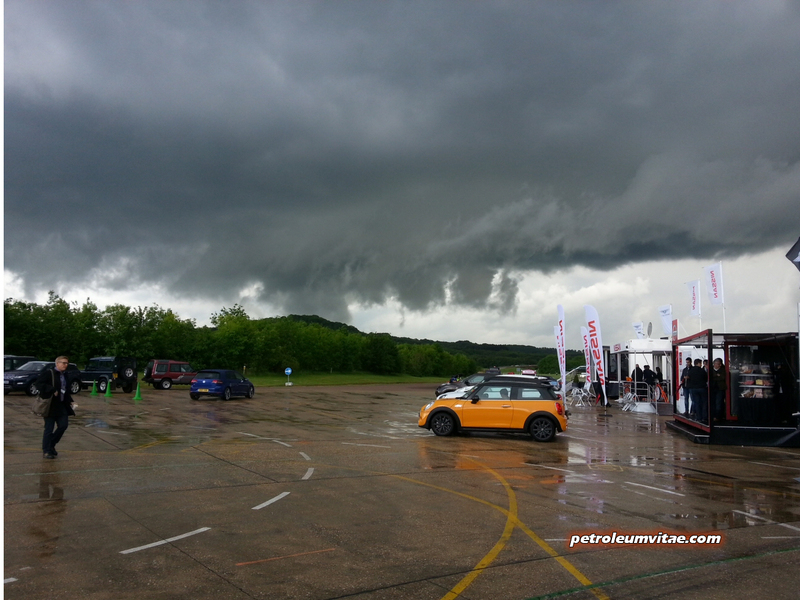 Sensibility ruled in light of how wet Millbrook was, a storm playing out over our heads, but even at relatively tame speeds around the corners, I could tell the Infiniti would no doubt cope if much more was demanded of it. For a large executive car like this, the lack of roll was noticeable and the steering was pleasantly communicative. It’s a shame I won’t have the chance to drive a Q70 S around the Hill Route until the same time next year, when it will hopefully be dry. Four driving modes are selectable from the 7-speed automatic gearbox – Normal, Eco, Snow and Sport. 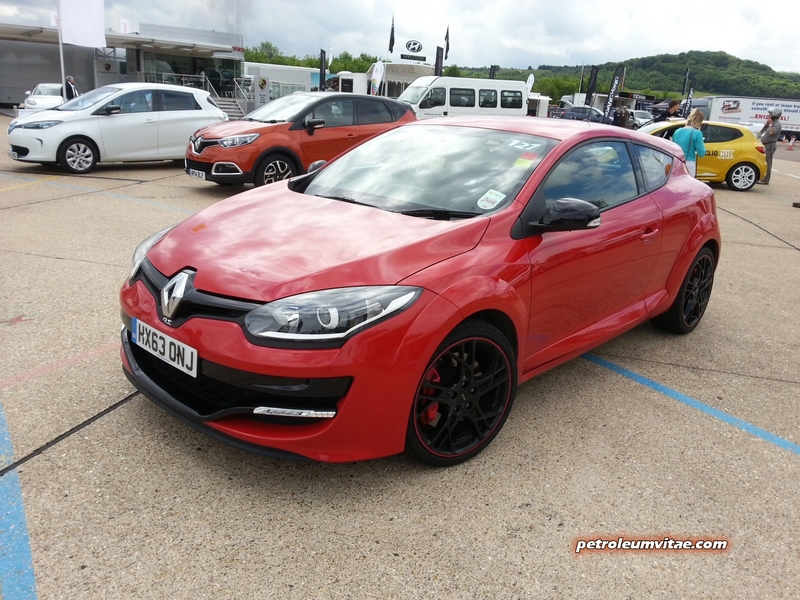 During my three laps of the Hill Route I selected all four and did notice a difference in each, particularly from Sport which livened the engine, exhaust note, gear ratios and general agility up nicely. SMMT Test Day isn’t really the place to be talking about fuel consumption, but just as a note, the hybrid models in Infiniti’s range typically tend to be more cost-effective overall and even ignoring them for a moment and comparing the Q70 to its diesel rivals, it doesn’t fare as well in the CO2 emissions or ‘mpg’ economy stakes on paper. How it fares in real life would involve assessing one over a much longer period. A sincere ‘thank you’ once again to SMMT, Newspress and all the manufacturers.